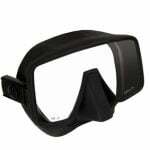 A frameless mask is designed to offer a very low profile volume on a single lens mask. 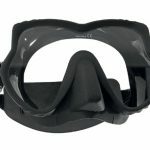 This offers a large field of vision and a compact design. 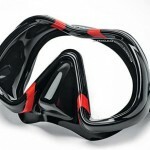 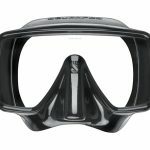 Some of the frameless designs have changed away from the compact ability and still classified as a frameless mask because of their volume still being low. 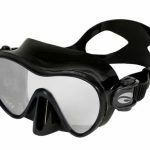 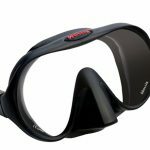 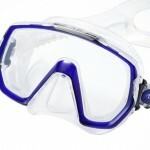 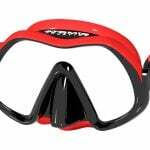 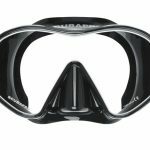 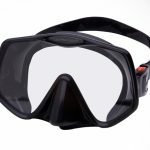 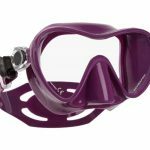 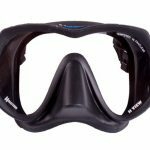 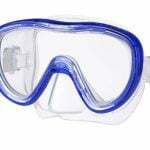 The frameless mask is one of the best option for scuba diving if you do not need to add prescription lens.